For sheer thrills and an adrenalin rush you can’t beat one of these aerobatic flights. After a thorough briefing from your instructor you’ll be strapped into a powerful light aircraft for an experience that you will remember for years to come. The emphasis is on Fun with a capital F. You will be able to choose between an introductory aerobatic flight or perhaps a Top Gun experience during which your aircraft and another take it in turns to chase each other in a simulated dog fight. Experience the art of aerial combat or just enjoy the magic of aerobatics with former military pilots whose skills and professionalism shine through and whose mission is to give you an unforgettable experience. You have control – GUNS! GUNS! GUNS! 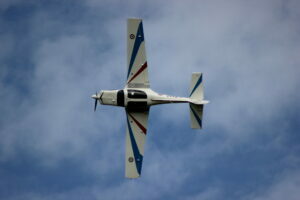 Apart from being enormous fun learning to fly basic aerobatic maneuvers is of great benefit to any pilot. The discipline teaches you about the aircraft and its performance. It teaches the pilot about things like recovery from unusual attitudes, recovering from stalls and spins in all kinds of aircraft configurations. By learning how and why a wing can stall or an aircraft enter a spin from practical demonstrations as opposed to classroom lectures or books, the pilot is better equipped to deal with any emergency. Skill and, just as importantly, confidence grow as the training progresses. 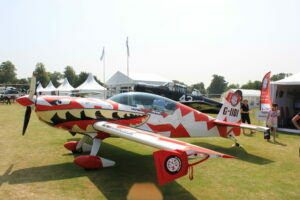 There are plenty of pilots who have no interest in aerobatics and prefer the pleasures of straight and level flight with no more than thirty degree turns, and that’s fine, each to their own, but even if they don’t choose to fly aerobatics for pleasure, all pilots can benefit from refresher courses in how to recover from an unusual attitude. 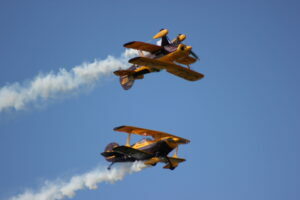 If you’re attracted to the idea of aerobatics (or you know someone who is) why not book an experience flight? It could be a thrilling but one-off event or it could inspire you to continue training in this area of expertise. Either way, it’s an entry in your logbook that you’re likely to remember vividly for a long time afterwards. For pilots how learned to fly in standard club aircraft it’s a chance to appreciate what the difference made by a high power to weight ratio. For anyone who has never flown or has only had a little experience it’s just great fun. 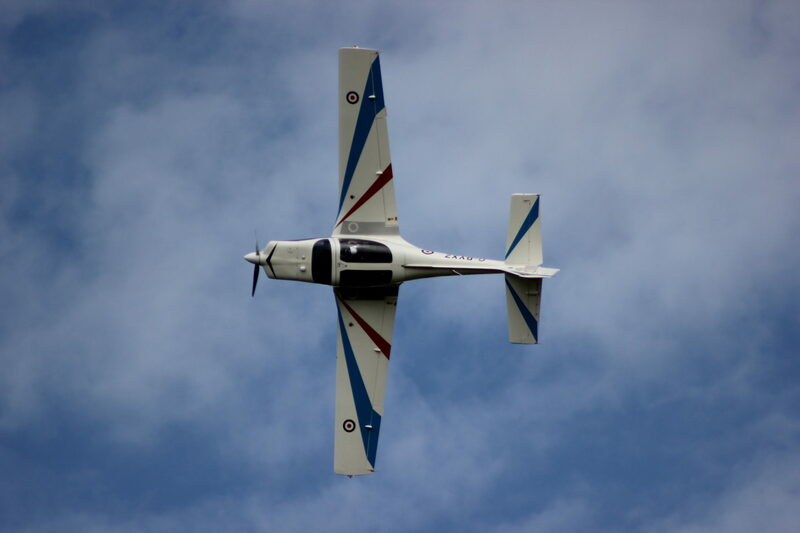 It puts you in control and gives you the chance to appreciate just a little of what it takes to be an aerobatic display pilot or even a military fighter pilot. Treat yourself or buy a gift for a loved one. Click any of these options for more details. Each leads to a site with other flight experience choices.